Thank you for letting me and my friends have tea in your garden all Summer. While we missed sitting across from you at the yellow table, eye to eye, we felt your presence strongly through seeing what you saw. In each fresh wind through the willows I saw you there across the bridge. 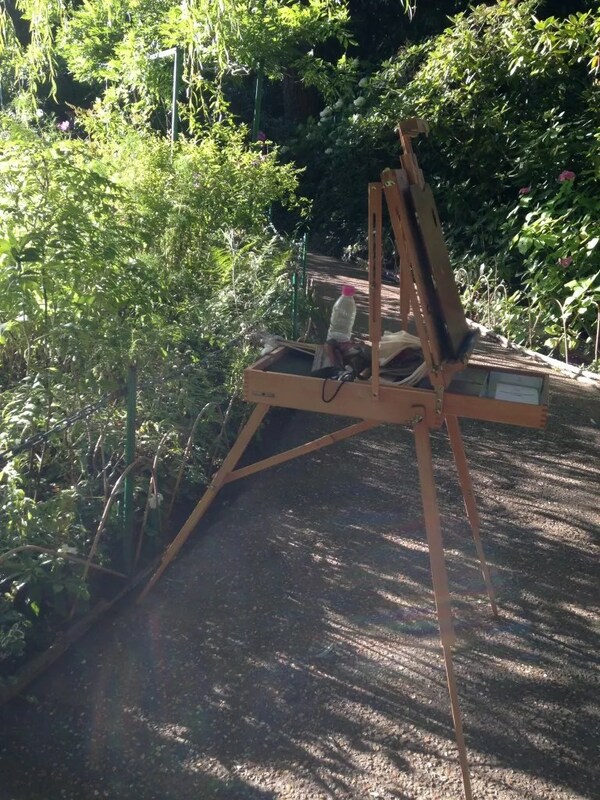 What are you working on today, Monet? 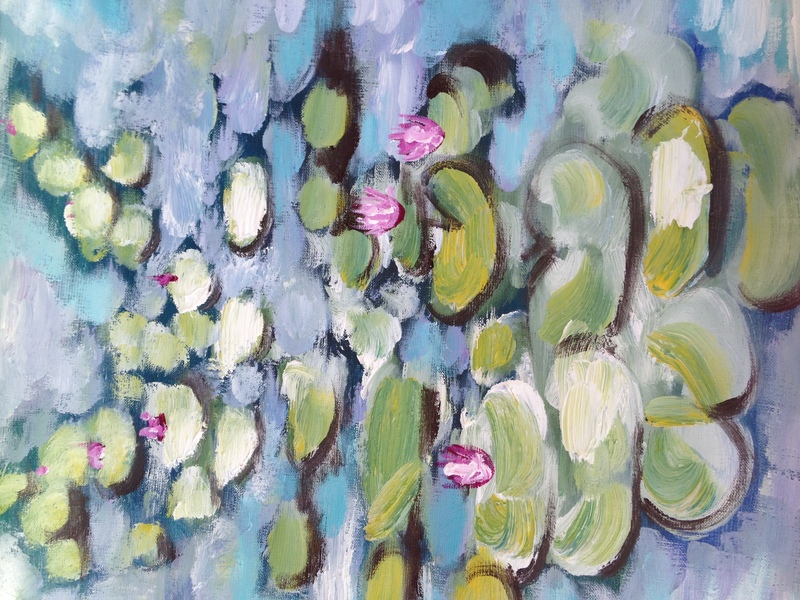 I am working on the essence of your waterlilies. In each fish that jumped amongst the lilies you were there somehow animating it for us. 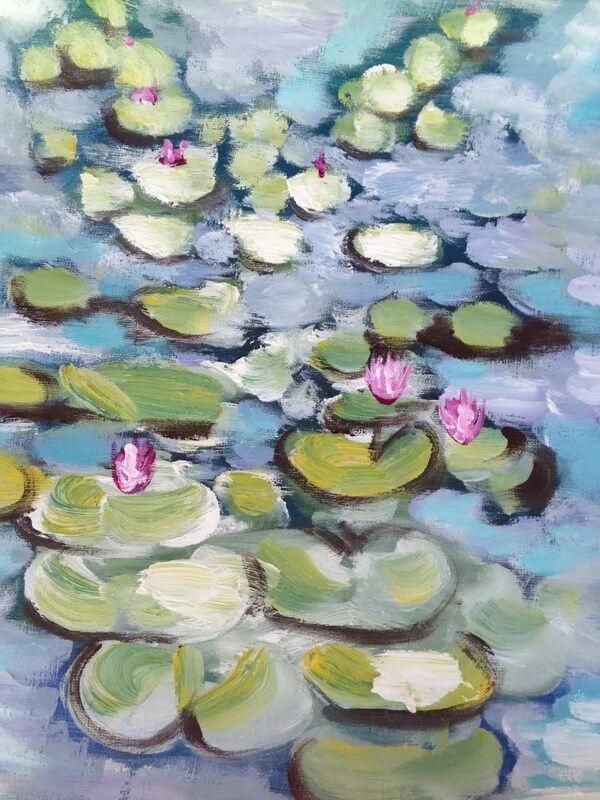 Each time the sun shone through the rain and the lilies opened their faces to you I wondered just how to make those quick strokes appear so real and yes, also an impression. 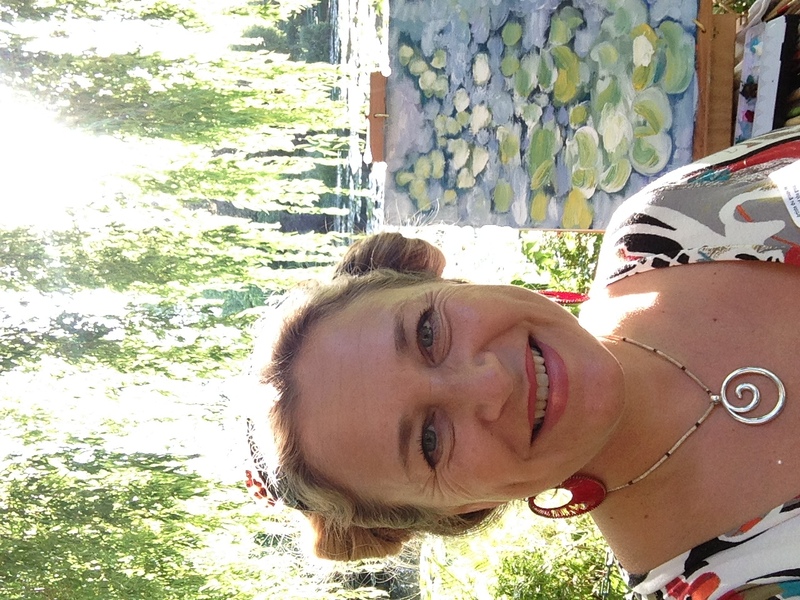 Your impressions helped to change how artists saw life moving, instead of still. 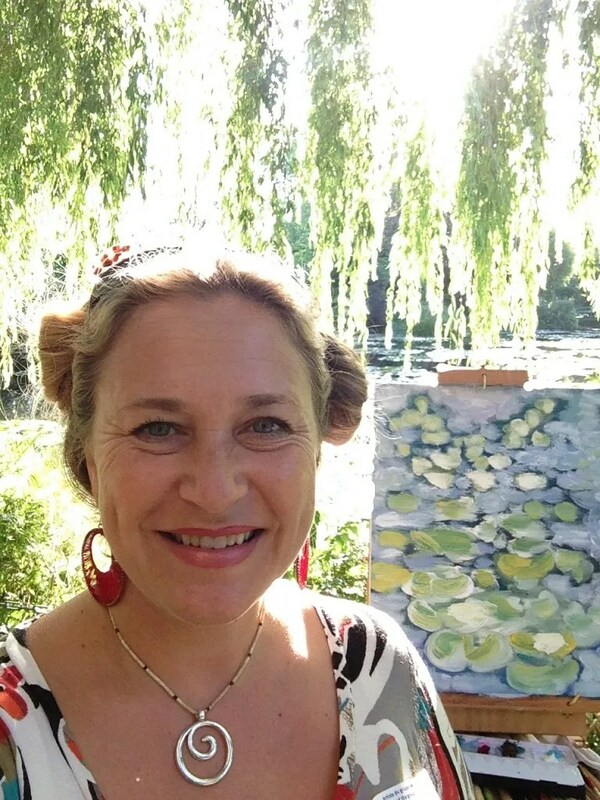 You, like so many of us had a hard start to art and yet you continued. Eventually they saw you, the Salon invited you – and we all know this is a gift to have in one’s own lifetime. I am glad they saw you and that you became one of the artists who is a witness to abundance. Your abundance created this garden for all of us. I wonder what you think during the day, as thousands pour through your home and gardens trying to see what you saw. 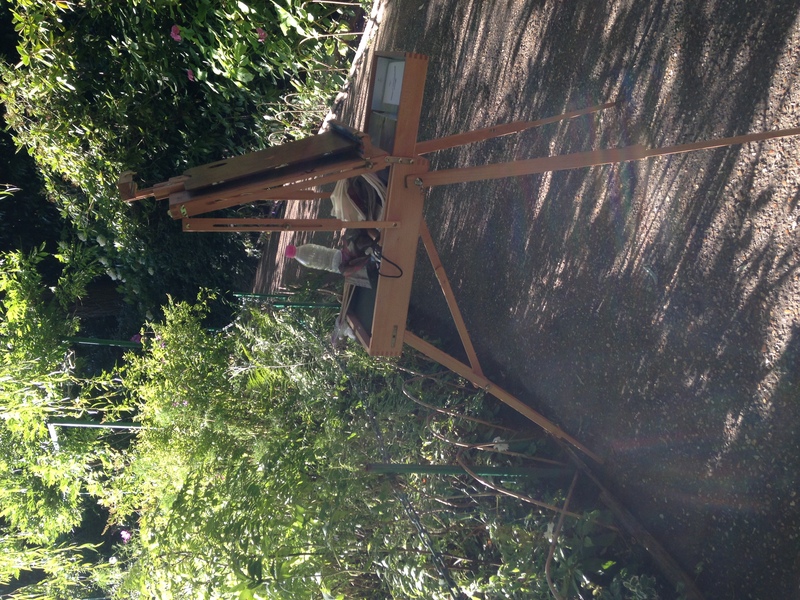 At night my friends and I are granted access and we set up our easels alone in the garden in reverent silence. I see that you had a vision for creating specific spaces for beauty. To create a space for beauty that you truly wanted to paint in and live inside of and invite your friends to. I thank you humbly. 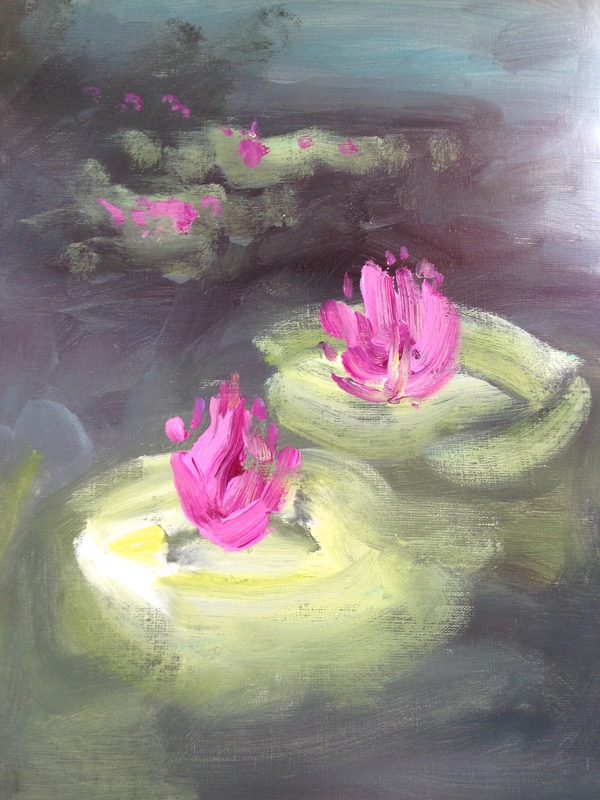 My tears fall on my own waterlilies as I finish this thick stroke of white paint, hoping for your blessing. Your blessing will be passed onto my own students. Today here, I let the dreamer dream me and in that dream I too wanted to create a space for painters to come and paint with me. I let myself dream. I even bought some seeds from your garden. One day when I plant my own, I will make a space for you to join me for tea and find your flowers in my garden too. You chose themed colors, I like how organized and yet how wild the gardens are. 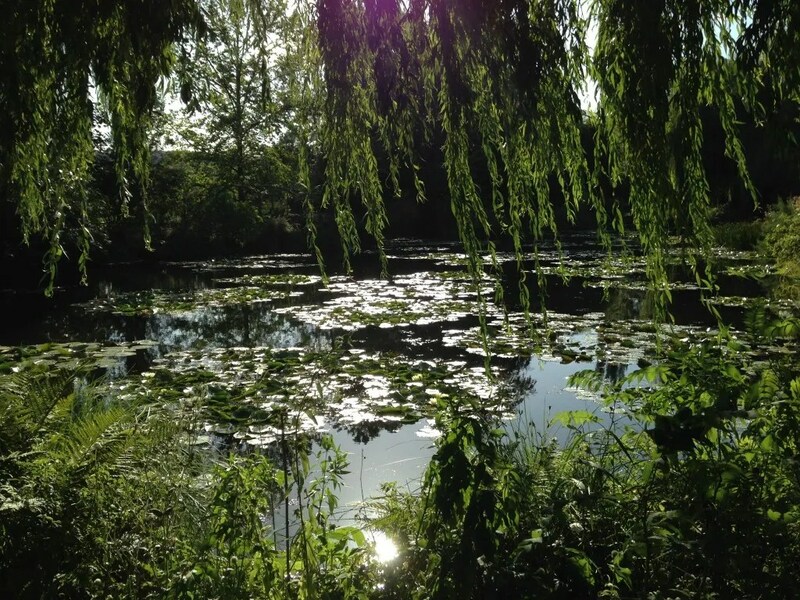 I have made a prayer here – for sacred space. Also for a life of being an abundant artist. I have sat beside your quantum waterlilies to feel your presence. And I did. My new husband Jonathan requested this painting for his collection, and so it will go in our home. I had already finished a much more complicated piece and had just this much paint left. With a prayer I made a dash for it, and finally some true essence of you to take with me and remember you by.